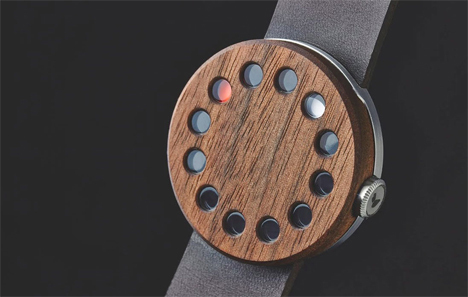 Portland, Oregon-based studio Grovemade has been designing gorgeous wooden accessories for Apple products for years, but they are now moving away from their signature pieces by introducing a lovely wooden wristwatch. The Wood Watch features an exceptional modern design with a minimal wooden face and circular hands that traverse the watch’s perimeter beneath the face. The watch was designed in collaboration with Stefan Andren, a seasoned watch designer who put great care into every facet of the design. 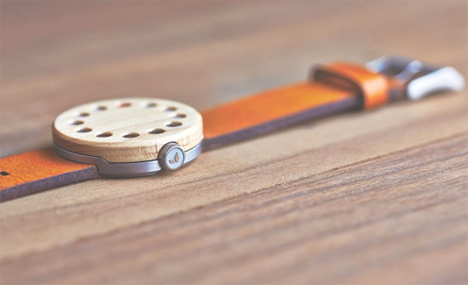 The same care is taken with the watch’s manufacturing process; the metal backing is machined in Oregon and the wooden elements are sanded and oiled by hand. Although it may seem unusual for a company who made their name selling Apple accessories to introduce an analog watch, Grovemade wanted to create a more tactile design that would give wearers a tangible idea of where they are in their day. The designers understand that we all have the exact time on our phones or tablets, available at any time. 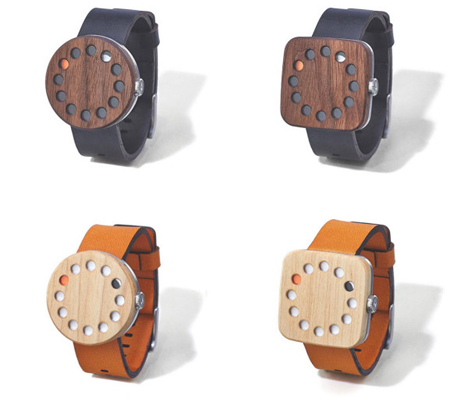 The Wood Watch provides an elegant, physical way to keep track of the time. Available in East Hardrock Maple or Black Walnut, circular or square dial, and leather or silicone strap, the Wood Watch offers options to fit plenty of tastes. The watch will retail for $239 and will be available in late 2014/early 2015. See more in Clocks & Watches or under Gadgets. July, 2014.